2012 Autumnal Highlights, our first month back! The new school year is well underway in Hedley and we’ve all settled back to our routine of classes, play and extracurricular activities. We wanted to take a quick break and grasp the opportunity to share some of the brilliant projects we’ve working on. 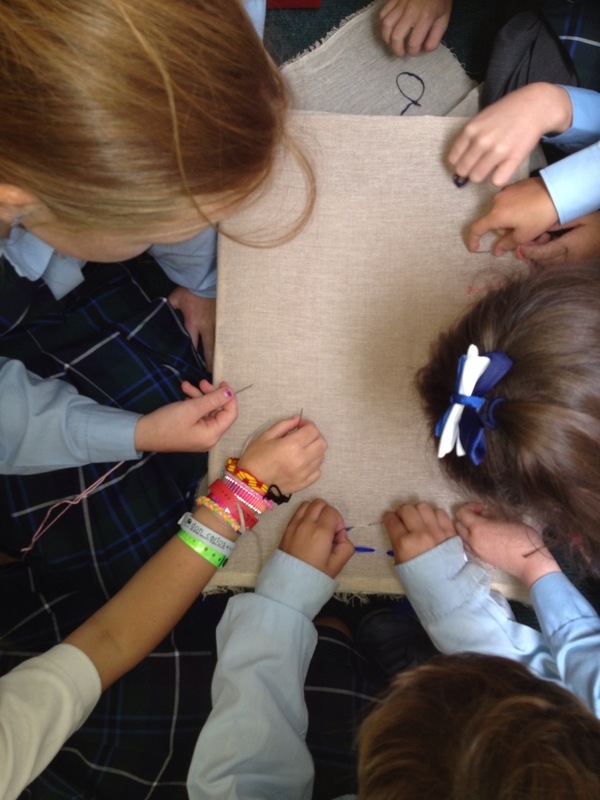 Working hard, sewing our bonds strong. Starting with our senior class who kicked off their year by creating a unique and lasting piece of community art in the form of a hessian tapestry. Working away side by side they got to know each other, accepted everyone’s contribution and had fun, the end result was a very unique piece of art that they can all be proud of. 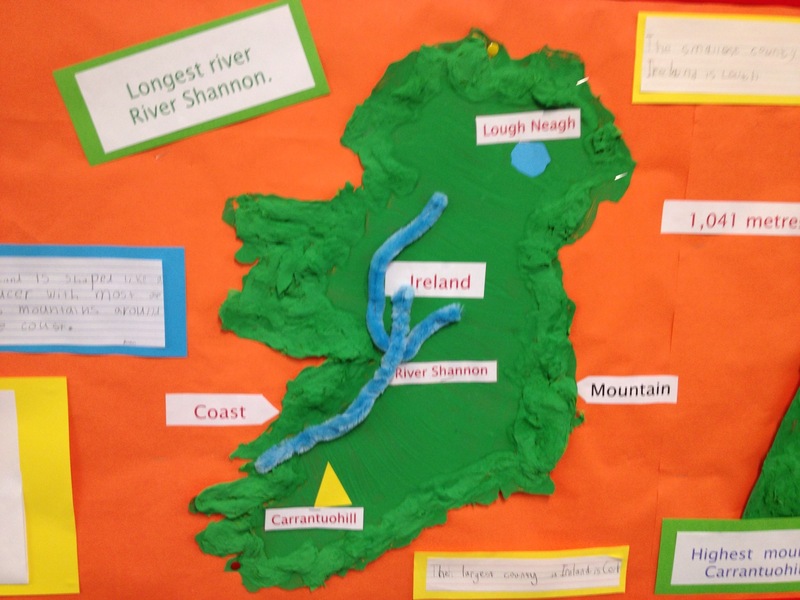 That wasn’t all the seniors got up to, they’ve also been using their newly honed sewing skills to create fantastic maps of the physical features of Ireland stitching and pinning in the rivers of the country to individual maps. The Shannon is sew long. 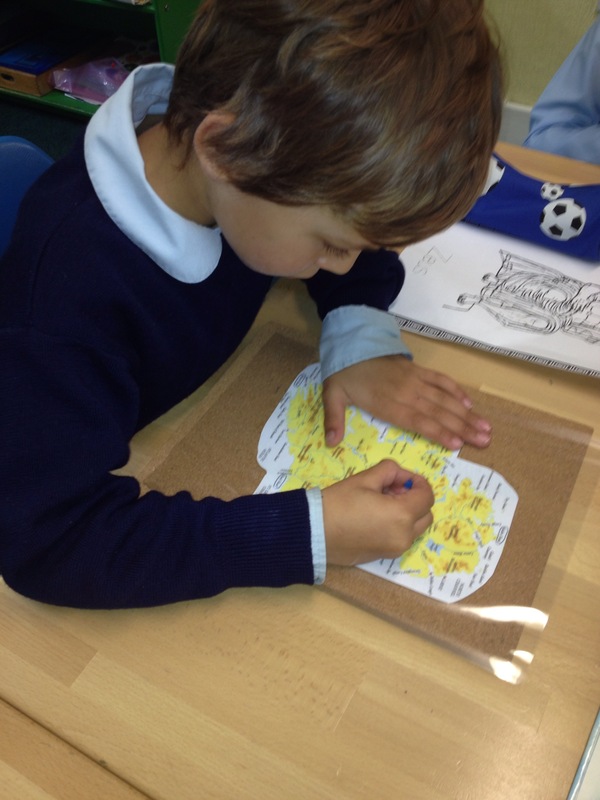 As a group they also made a larger map with mountain ranges, lakes and the largest river. They really are a creative group and the projects that they undertake allow everyone to get involved and make their unique input. 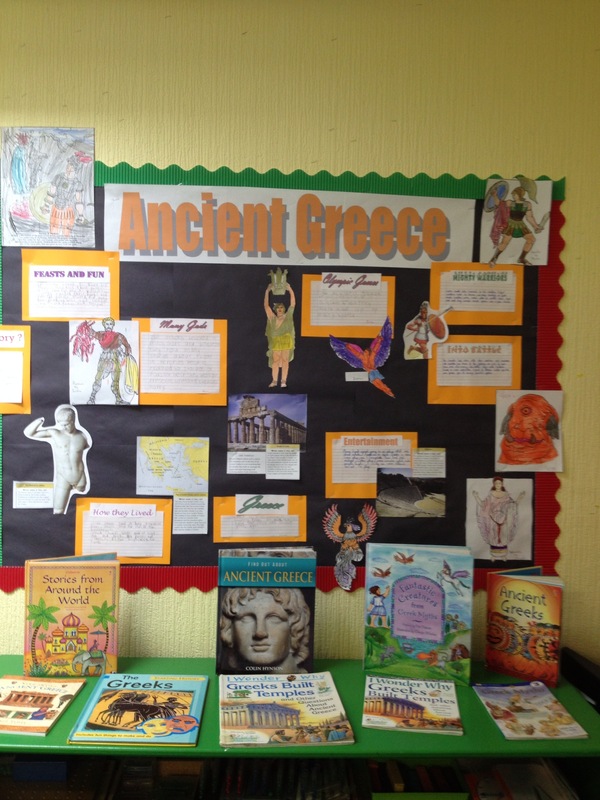 Another project undertaken by the senior class was on the history and civilisation of Ancient Greece. We have some serious history aficionados in the classroom this year and the wonderful leeway afforded by the Montessori method allows us to aid the children in following their interests in deep independent study. The children all went to the bookshelves the Internet and the school iPads to research and write up areas of Ancient Greece that inspired them. All in all the group have bonded nicely and are really getting down to fantastic learning supported by each other. 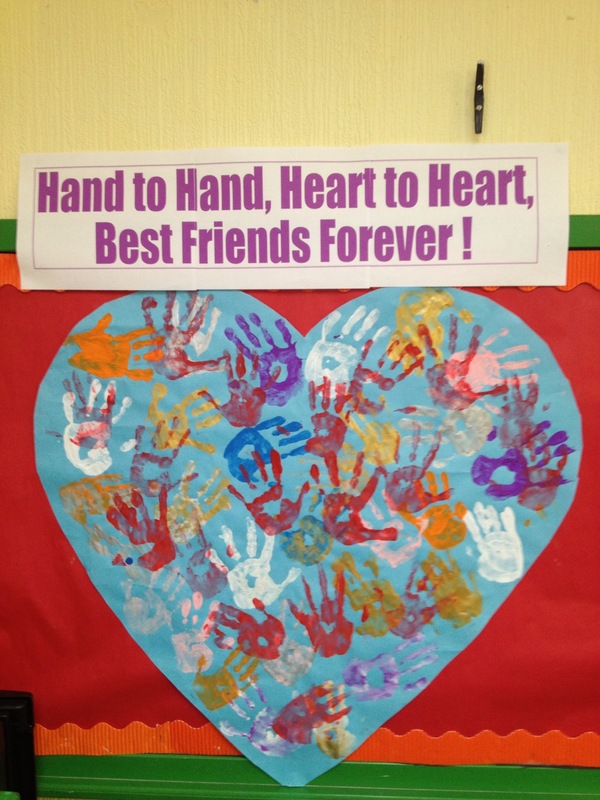 Hand to Hand, Heart to Heart! 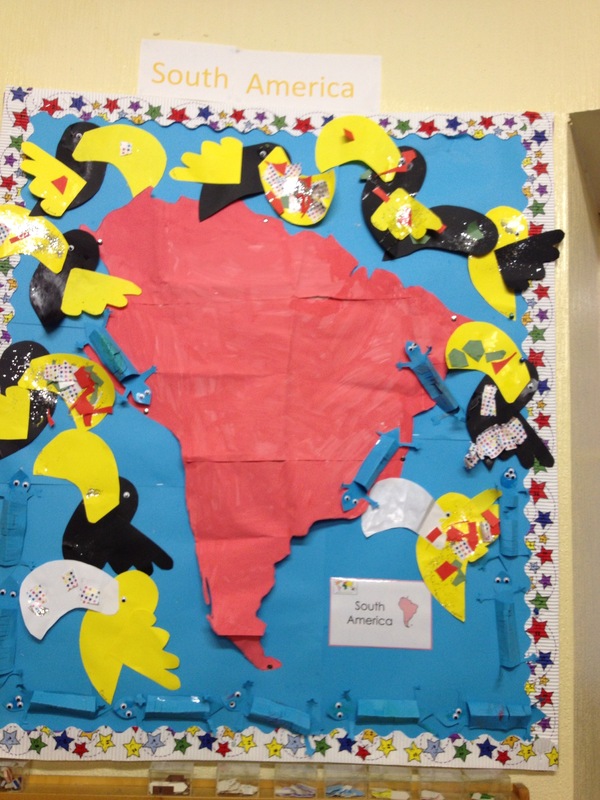 Another group getting to know each other is our reception class. The old hands of senior infants are relishing their roles of “guides” showing the newly moved up junior infants the way of their new work and books. The senior infants in the reception group are very excited about going to sports on Friday while the junior infants are enjoying the wonderful on campus PE class, which focuses on coordination, balance, gross motor skills and rhythm. The industrious students in the reception class have worked hard on their language arts creating wonderful writing samples with the seasonal “oo” phonogram. 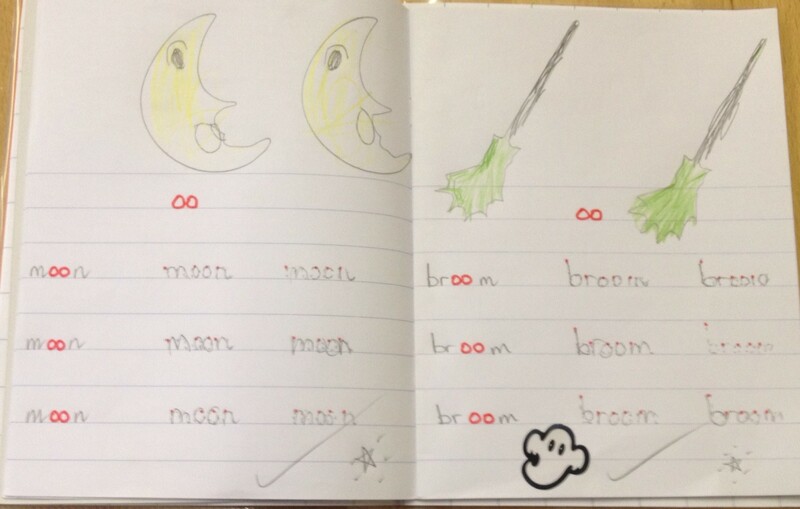 “Spooky” writing indeed: moon, broom and boo. 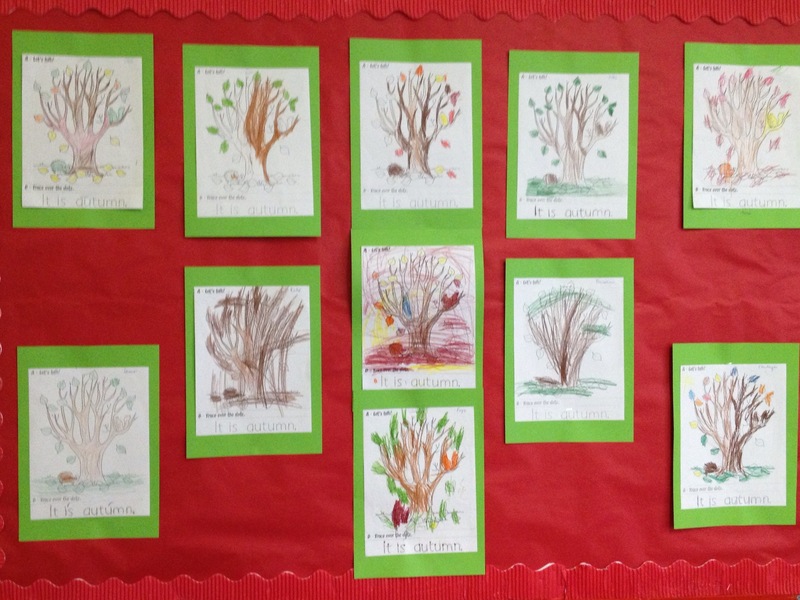 Observing the seasonal changes with some wonderful autumnal trees, and hedgehog studies featuring a hedgehog cake! Yummy enough to hibernate on I’m sure! 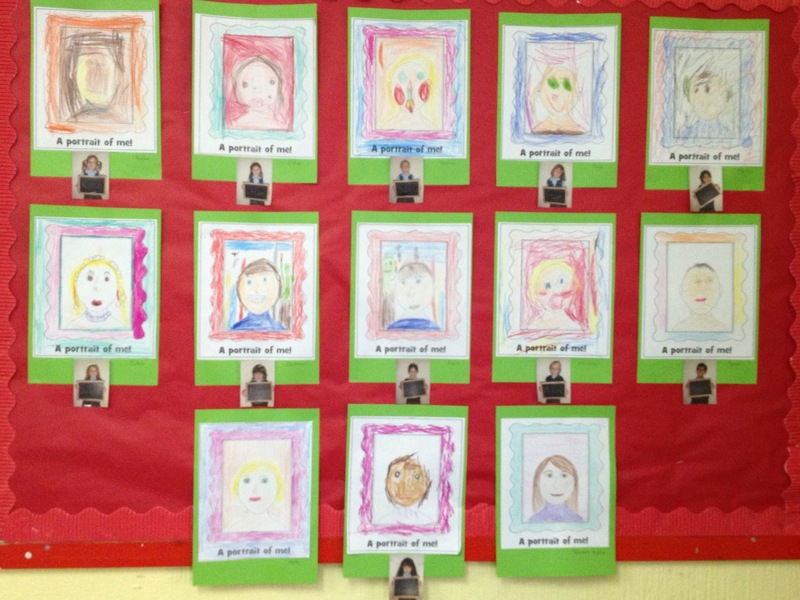 However my personal favourite of their artistic creations has to be the self-portraits. Sure to be treasured for years to come. 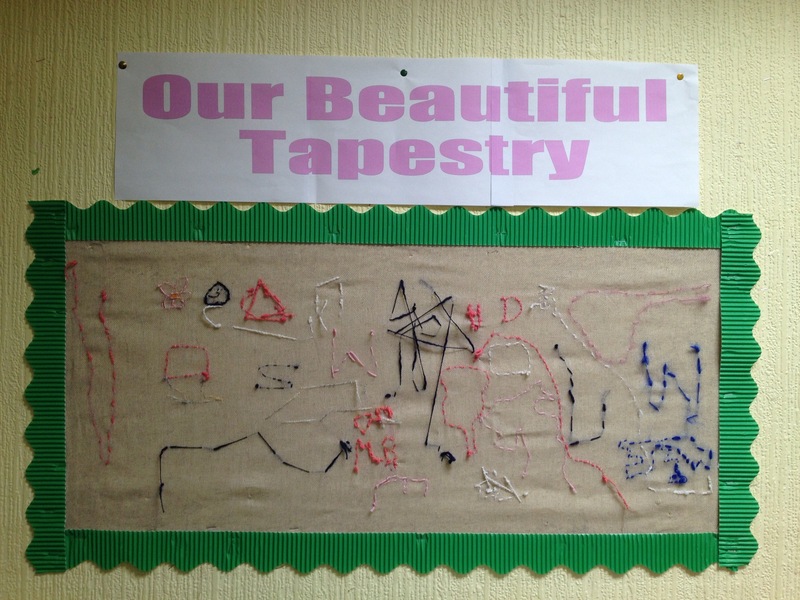 Not forgetting the smallest ones in our group, the nursery class, who always manage to create some of the cutest project work. September has seen them on a voyage to South America, the bright pink of the Montessori continent colour scheme cheering up the dull autumn days. The toucans, iguanas and large Rainforest scene really revitalise your sun-deprived spirits. 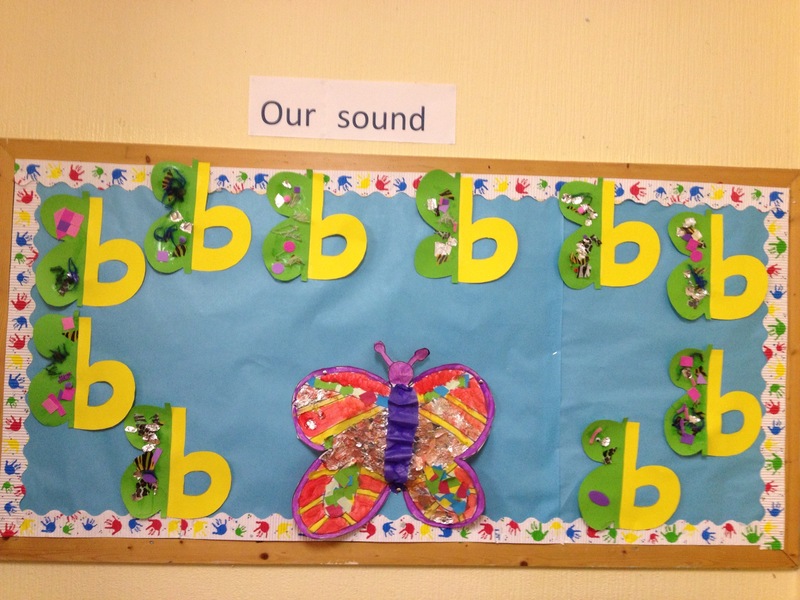 The sound of the month “b” really came to life with a wonderful butterfly board of beautiful “b”s. 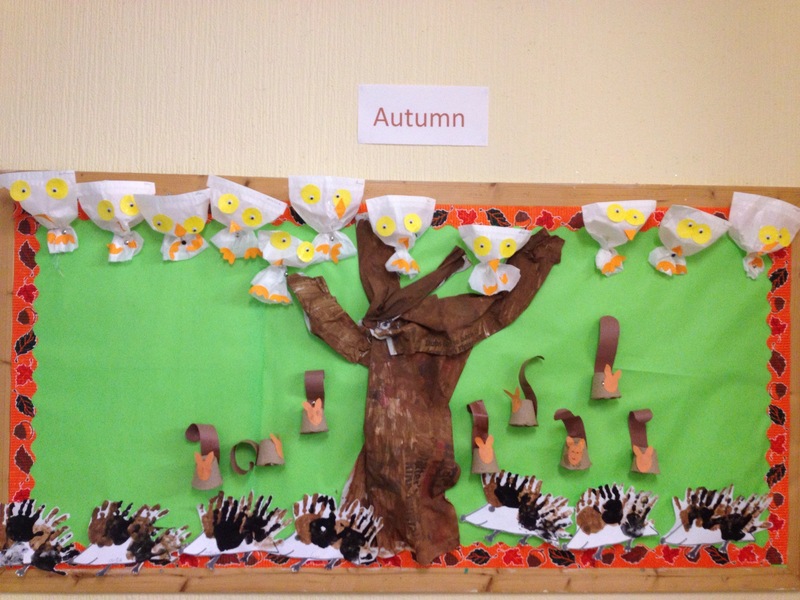 With all this travel and foreign lands you would be forgiven for thinking that the smallest ones had forgotten the season but no, a gorgeous 3d autumnal scene complete with frolicking squirrels and prickly hedgehogs. 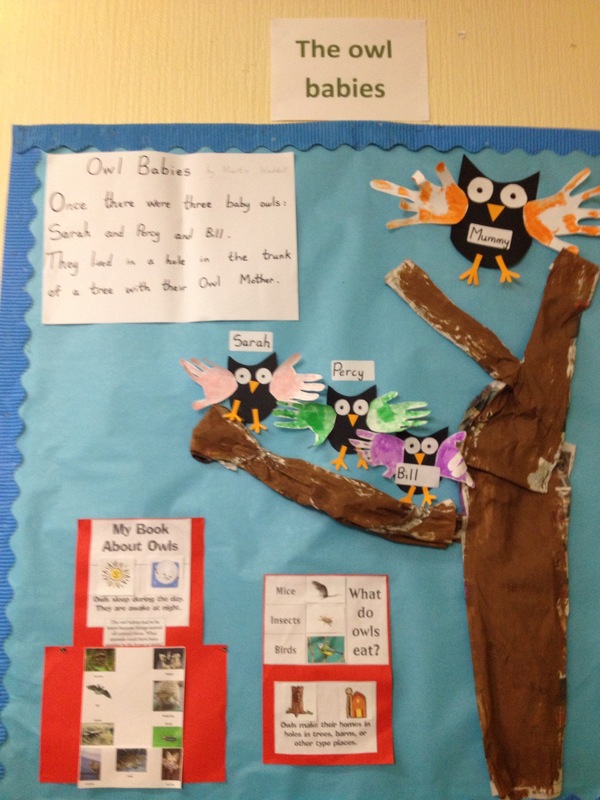 Our nursery class thoroughly enjoyed reading the atmospheric favourite Owl Babies, with Percy, Sarah and Bill waiting for their Mummy Owl to return. 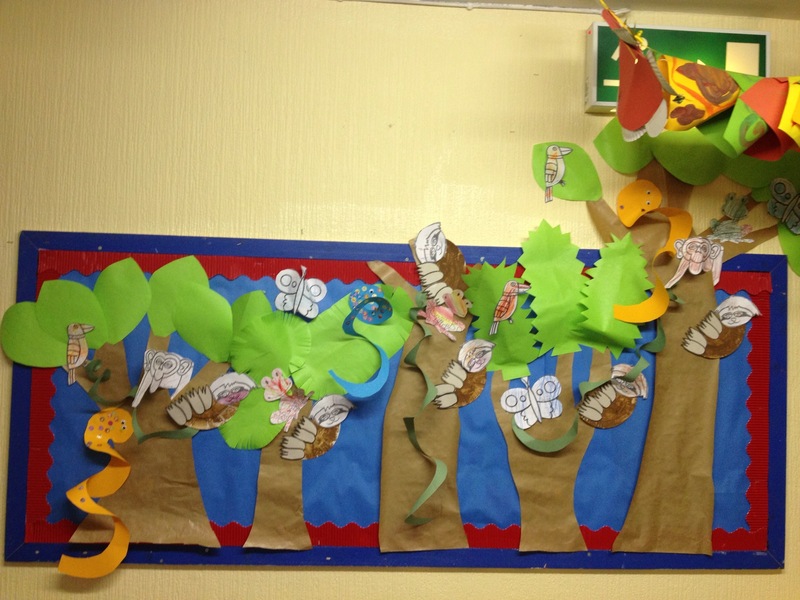 And they furthered their learning with a study of owls including their diet and habitat. We are all really looking forward to getting ready for our first term tradition of the Witches Walk on the 26th in Merrion Square. 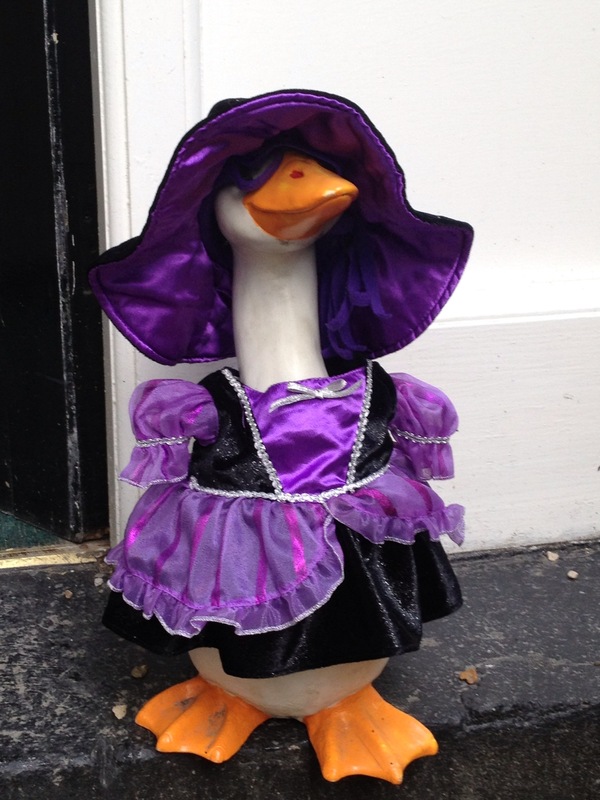 Even Daisy Duck is getting a jump on the celebrations in her costume! 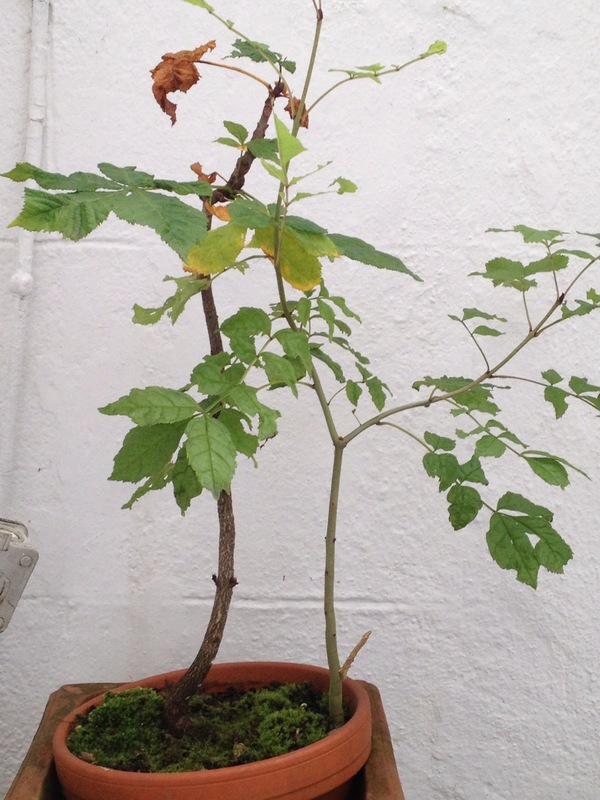 Finally we’d like to show off our own school grown horse chestnut tree. We’ve planted it and cared for it from a seedling to stand proud beside Daisy. A lovely addition so we can witness the passing season from our own door. In case being beside one of Dublin city’s most beautiful park isn’t enough! Thanks for reading, from all in Hedley Park Montessori School.